Recent years have seen an acute humanitarian emergency in the arid regions of the Greater Horn of Africa. While drought itself is only one factor, the repeated failure of rains has brought into stark relief the challenge of improving the local population’s resilience to natural disasters. In Kenya’s northern arid and semi-arid lands (ASALs), communities will continue to face extended periods of drought and climate volatility. Sustainable access to water has been at the centre of Oxfam’s work with local populations to reduce drought vulnerability and build resilience. 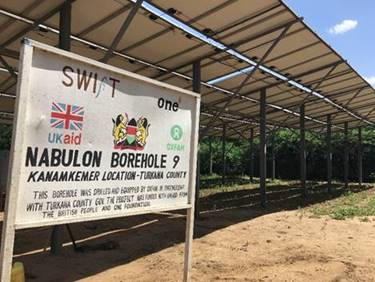 One focus has been on replacing expensive and unreliable diesel-powered water-pumps with solar water-pumps, which have minimal ongoing operational costs. 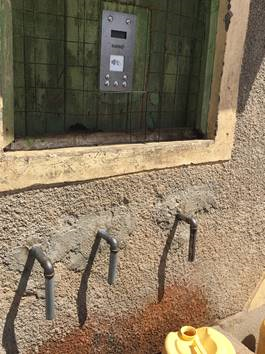 Oxfam is also taking advantage of other new technologies that allow sustainable and equitable water access, such as automated water kiosks linked to mobile payments. 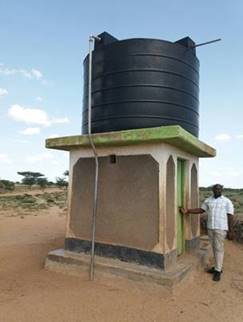 But Oxfam recognises that simply installing and operating new equipment is only one element in achieving sustained, affordable and inclusive access to water in northern Kenya. It is exploring a substantial shift in its approach. It seeks to move from the installation of water infrastructure to an emphasis on strengthening the systems that would, over the long run and even in times of drought, maintain water access to ‘the last mile’. An important element of this is a stronger emphasis on ‘market-based approaches’. To be clear, this doesn’t necessarily mean a ‘for-profit’ market. But it does mean recognising that many households — even in poor, arid regions — are willing to pay something for clean, reliable water. Efficient, customer-responsive water suppliers, particularly small local water companies, can play a role in meeting that demand. Local suppliers stepping up to the operational challenge means that Oxfam itself can step down and play a different role from its traditional frontline, ‘direct delivery’ function. We spent time in Nairobi and Turkana (one of Kenya’s nine arid counties) meeting with a wide range of water sector experts. From service providers and community leaders, to finance institutions and donors, we sought to understand how different funding mechanisms — both public and private — might play a role in incentivising sustainable and inclusive access to water in northern Kenya. 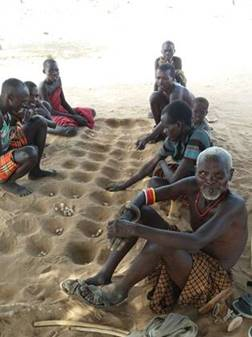 Turkana’s largest borehole, powered by solar panels, was set up by Oxfam in 2015 and now services a network of water points in the Kanamkemer area of Lodwar. The panel above reads a pre-paid token and releases 20 litres of water at a set tariff. New technology such as this pre-pay water ATM is enabling a sustainable and inclusive market through more transparent tariffs and access to water. Water storage facilities set up by Oxfam in Chok Chok are helping to build resilience in drought crises. These storage tanks hold up to 2 days of water supply to prevent water shortage in instances of water system breakdown. 70 kilometres from Lodwar Town we visited a rural village, Chok Chok, to understand the challenges faced by last-mile communities in operating and maintaining solar powered water pumps. Here, the Water User Committee is led by a community leader who is responsible for the collection of fees that are used to maintain and repair the water infrastructure in Chok Chok. It quickly became clear that this is not just about the ‘right’ funding instrument. Our findings emphasise the importance of understanding the dynamics of water access before thinking about the funding flows. The current water ecosystem is characterised by a lack of accountability and incentives to achieve positive outcomes. So we explored the role of County Governments, NGOs, water utility companies and funders in building greater lines of accountability, as well incentivising market players to collaborate around a shared culture of results. Building on that, we evaluated under what conditions solar-powered water systems are commercially viable (including the impact of ‘non-revenue water’ — i.e. water system losses — and the tariff level on commercial viability); and finally, recommendations on the optimal mix of funding instruments for the development of sustainable systems for water access for all.